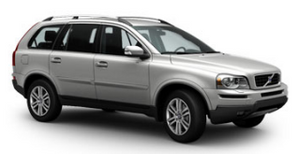 Volvo’s Roll Stability Control System employs a gyrosensor. If the rollover risk reaches a specified threshold, Dynamic Stability Traction Control is activated. Inflatable side curtain-type airbags drop down for all three rows of seats.